Local food tastes better and lasts longer since it has not been trucked or flown in from thousands of miles away. The vast majority of the produce sold at our Thursday afternoon farm market is picked on Thursday mornings! Buying foods grown and raised close to Cincinnati also helps to maintain farmland and green space in our area, supports our local economy and builds community. 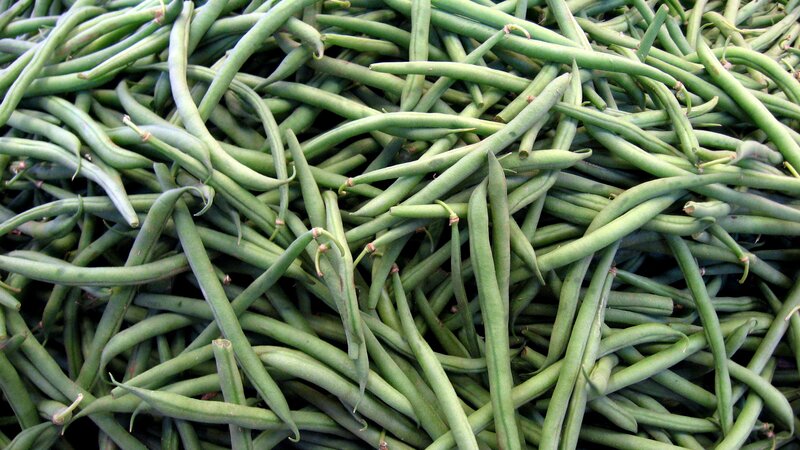 This is a great time of year for green beans. Cook them up with smoked turkey, onions, seasoning and potatoes, dill them and serve cold as a great salad, pickle them to eat next winter. Sweet corn, tomatoes, eggplant, peaches, plums, apples, beets, and greens are just some of the veggies and fruits available now at the height of the summer growing season. Don’t forget you can also pick up staples like locally produced meat, eggs, cheese, bread, and much more. At Kids’ Corner this week, every child participating between 3:30 and 4:30 will take home a free book thanks to the College Hill Literacy Team. There will also be plenty of books to read at the market, along with yummy healthy snacks to enjoy. Music this week is by Gypsy Jam: Manuel Susarret and Bob Graff, two computer geeks who also happen to be great guitar players! Patrick Sherwin, from GoSun International, will be at the market this week to demonstrate their solar oven. See this miracle of science in action. We take credit cards and EBT, and will match dollar for dollar up to the first $10 spent with EBT to buy fresh fruit and vegetables. The College Hill Farm Market takes place each Thursday afternoon from 3:00 to 6:30 in the parking lot of the College Hill Presbyterian Church near Hamilton and Llanfair. This entry was posted in News and tagged Aunt Flora, Back Acres Farm, Bergefurd Farms, College Hill, College Hill Farm Market, College Hill Presbyterian Church, CSA, EBT, farmers' market, Grandola Granola, Gypsy Jam, Llanfair Retirement Community, local farm, local food, North Oaks Farm, Our Harvest, Produce Perks, solar cooking, Twin Towers by College Hill Farm Market. Bookmark the permalink.